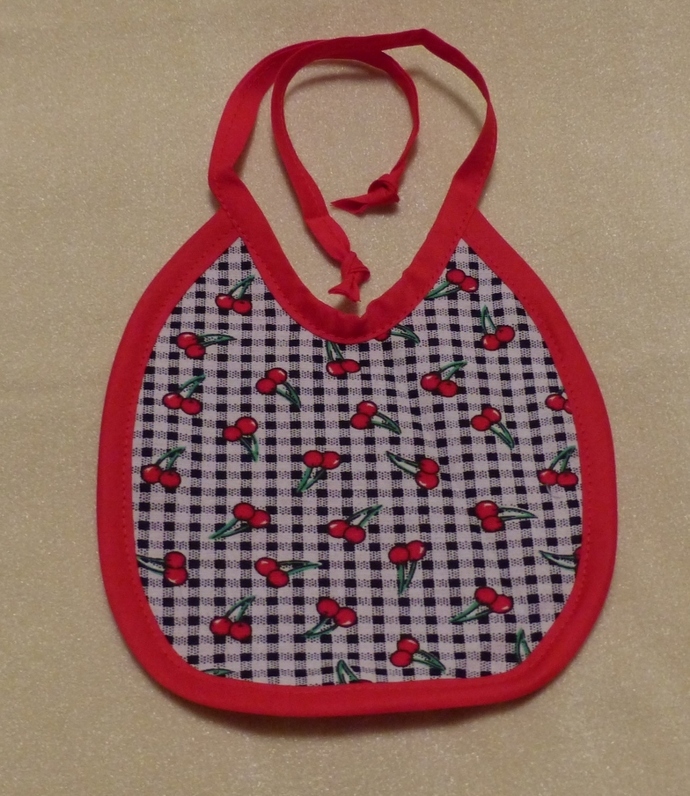 This adorable baby bib is made in a cotton fabric with a black check gingham with red cherries design. The reverse side is a soft red flannel and the bib ties behind the neck. This bib is machine washable; lay flat to dry. 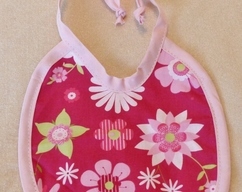 I am selling this bib for $8.00 plus shipping. I will carefully package it to protect from damage during shipping. Please read my shop policies before placing an order. Returns cannot be accepted. Thanks for looking!